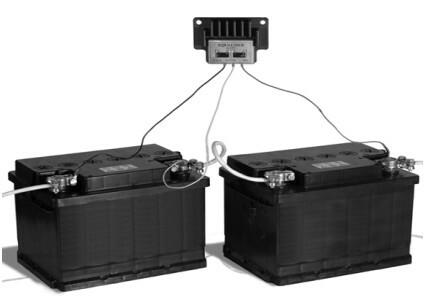 Suitable as build-up battery / consumer battery for motorhome, yacht and caravan as 1: 1 replacement for existing lead gel, wet, CA or AGM batteries. A BMS for balancing the included Winston LiFeYPO4 battery cells as well as as a deep discharge protection and overcharge protection is integrated. Here you can order an article from the Marinetech Stainless Steel Boat Accessories - parts catalog. The length is equal to the length of the box with rote gas box. Receptacles with heat shrink tubing. The insulation is coated with adhesive. Only ADR shipping for dangerous goods is possible, no air freight !